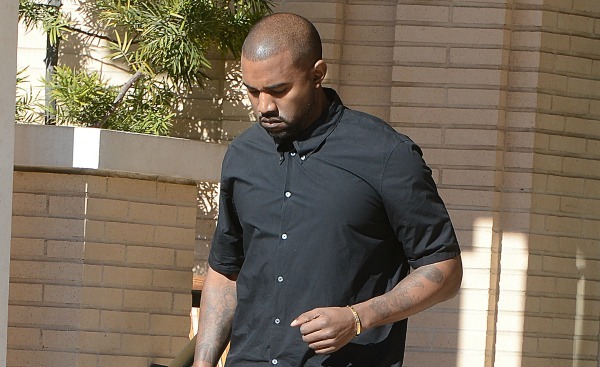 Another day, another scuffle where Kanye West allegedly roughed someone up. Yawn. About the only interesting part of this story is what the alleged altercation was about — the use of the N-word. Is it OK to obtain phenomenal wealth using the N-word and then (allegedly) punch someone in the face for using it? The story goes that Kim Kardashian was walking into a medical building in Beverly Hills, California, (yes, it sounds like we’re setting up a joke, but we’re not) and was swarmed by photogs. A young man decided to come to Kardashian’s rescue and assist her into the building — nice little story so far, right? As the paparazzi got more aggressive, the young man started to use homophobic and racial slurs, including calling the photographers the N-word. Kardashian told him that was not appropriate. OK. Hit the pause button. Kardashian is, of course, right. The N-word isn’t appropriate. We all cringe when we hear someone say it. It’s a derogatory term and doesn’t belong in polite conversation. We can all agree on that. But — and this is a big but (we are talking about Kim Kardashian, ha, ha) — is it appropriate for Kardashian to scold someone for using that word when Kanye West has gotten filthy rich off the use of the N-word? Google any of West’s lyrics. “New Slaves” lyrics include the N-word 10 times. It appears four times in “Black Skinhead.” The N-word rears its ugly head twice in “Bound 2.” The point is it would be challenging to find a rap of West’s that doesn’t have the N-word in it. So in this particular case, doesn’t Kardashian telling someone the N-word is inappropriate reek like a big pile of nuclear hypocrisy? (In fairness, she was walking into a medical building. Maybe she wasn’t feeling well.) Is it OK for West to use this derogatory term as a staple in his music and make obscene money off of it but not OK for the rest of the world? Isn’t it fair to say that West is part of the problem and not part of the solution when it comes to this particular debate? Is this a “cultural thing” that a white girl from the Northwest (ha, ha get it?) just doesn’t get? Are there levels of derogatory I’m not familiar with that make the use of this word OK in some settings and not OK in others? Are there unspoken rules about this word that some of us are unaware of? Does it boil down to a simple matter of context and common sense? I know I’m asking a lot of questions, but that’s because I want answers. The last thing I want to do is be a part of the problem by asking these questions — that is not my intent. I am sincerely interested in what people think about this topic. Why is it OK for West to make a fortune off this word but his fiancée freaks out when someone else uses it? Lastly, isn’t it painfully obvious that if a word is both racial and inflammatory, it should be avoided at all costs, across all platforms? Please contribute to the discussion and post your thoughts and opinions in the comments section below.